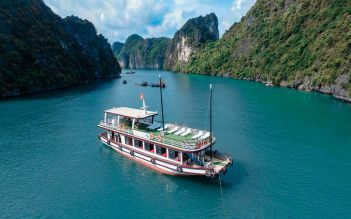 A special combination between Hanoi excursions, Halong full day cruise and Mai Chau 2 day tours in a combo. Join this combo, you will have opportunity to enjoy beauty of Vietnam from crowded city to peace valley, from mountain to sea, as well as understand Vietnamese culture. Next, visit Bat Trang pottery village (on Monday, Wedesday and Friday) or Ethnology Museum (on Sunday, Tuesday, Thursday and Saturday). Also visit the Literature Temple- Vietnam’s first university, constructed in 1070. 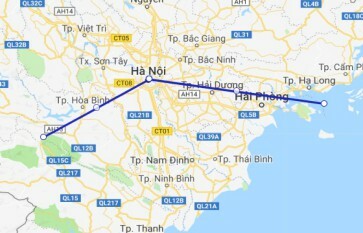 The last stop is Hoan Kiem Lake, Ngoc Son temple and Hanoi’s Old Quarters where you’ll have a chance for some shopping and exploration before tour ends. Pretty good experience to see the ethnic groups and their way of life. Cycling in the idyllic paddy fields was very calming and fun. Overall great experience. Our guide(Leo) was very nice and explained clearly on historical facts of the place. A little nervous Love this day trip! Learnt a lot about the different tribes and the bicycle ride is quite scary but fun! Very nice trip, the Food IS NICE!Home cooked food which I missed. Tour Guide Nam was very thoughtful n arrangement for solo/couple was perfect. Zero my guide is kind n a responsible person,There this Korean couple who wander off without waiting for him n he was so worried they were get lose or late for the bus, so driving me sight seeing n looking for them at the same time. N I enjoyed the dancing with the dancers when they r practicing n fun, all easy gg ppl. Love it!